If you are in need of a professional house painter, please contact SJB Painting – House Painter Lake Orion (248) 802-7465 for a free estimate. You may also click here to learn more about our residential painting services. 1.) You don’t have to take any responsibility for tedious preparation. Instead you can just make sure the person you are paying does it correctly. 2.) A well trained and experienced professional house painter will know exactly what products to use. All the same, check these products out to make sure you are happy with the choice. 3.) An experienced and capable painter will also be able to give you all the information you need to know about paint. With their guidance you will be able to choose the ideal products for your home – particularly if you want to make your own choices. 4.) A good professional will be well equipped. You won’t have to outlay anything on ladders, drop sheets, buckets, rollers, paint brushes and so forth. Some may agree to you buying the materials to save on the contract. 6.) Professional painters are trained to take care of details you might not even consider. For example they will (or should) remove hardware like handles before they start work. It takes extra effort, but they are getting paid for this. 7.) If the pro painter makes a mess, it’s not (or shouldn’t be) your problem. 8.) Painting jobs usually take days and sometimes even weeks. If a professional painter is responsible for the job you won’t have to clean up every day, but they will. 9.) If you are working with a professional interior designer, this person will liaise with your professional painter. The same applies to a project manager. You can simply check that the job is done to your satisfaction. 10.) If the job isn’t done according to schedule and in terms of the contract, the painter will have to rectify the matter. If you do the painting, you simply can’t pass the buck! House Painter Lake Orion – SJB Painting (248) 802-7465. 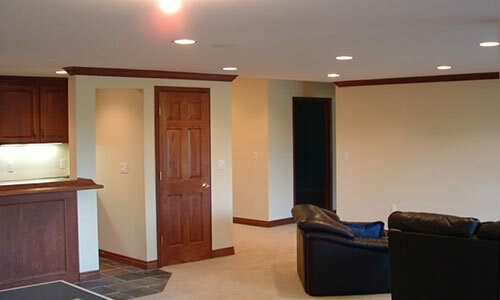 We are your local and experienced painting contractors. Click here to see our excellent Google Reviews!